Contractors stake their reputations as well as their bottom line on the skill and accuracy of their layout crews. For this reason, quality equipment and properly trained personnel are the contractor’s most valuable assets. Whether you need technical support on estimating software, levels, rotating lasers, theodolites, total stations or robotic total stations, Monsen’s can assist you in a solution to your issue. 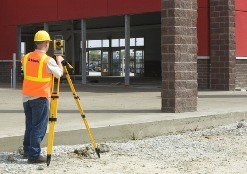 We specialize in Trimble, Topcon, Sokkia and TDS instruments, the most respected brands in the industry. We are waiting for your technical support phone call. Reach us at 800-821-0672 from 8:00 am to 5:00 pm MST.